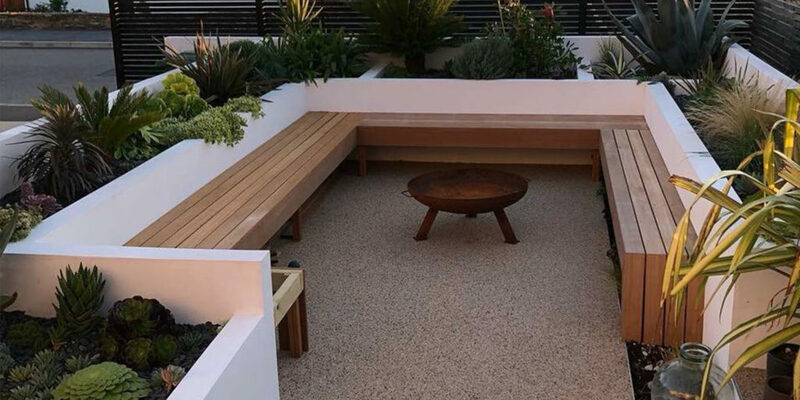 Are you looking to create a low-maintenance, visually beautiful social space in your garden? 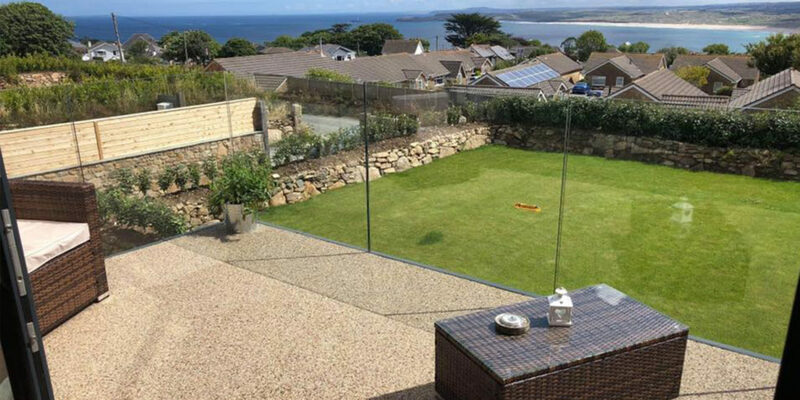 Then you need look no further than a patio transformation from Cornwall’s resin experts, Oltco. As the days grow longer, summer beckons and our gardens are awakening after the winter months, now is the ideal time to turn your thoughts to a garden makeover. Perhaps you have an area of garden that has become unruly and you’re not sure what best to do with it. Or, you want to spend more time in your garden relaxing than you do attending to its maintenance. 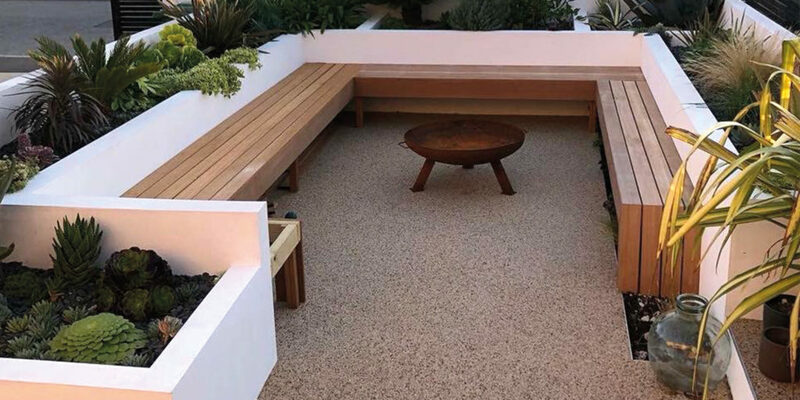 Either way, a resin bound patio could be just the solution you are looking for. 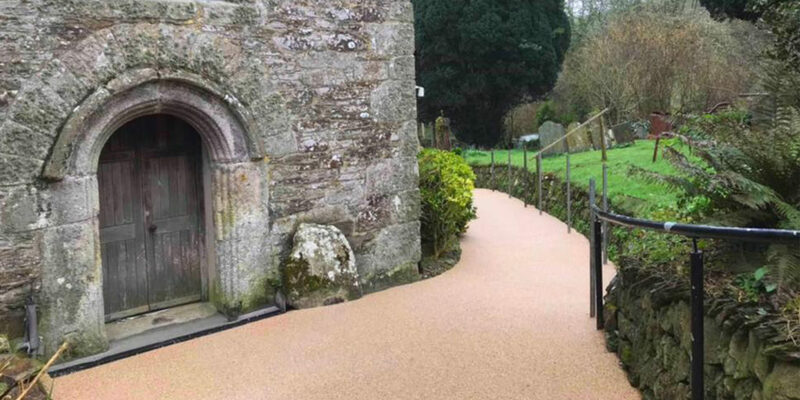 So, what exactly is resin bound? It’s a very clever coating that combines a blend of natural stone with a clear, UV-stable polyurethane resin. The two elements are combined in a force-action mix process to create a hardwearing and super low-maintenance surface. As it’s porous and hand-finished, you won’t suffer from any pooling or puddles and it’s also non-slip. The resulting surface is easily cleaned with a power hose or a sweep of a brush will sort out most debris. 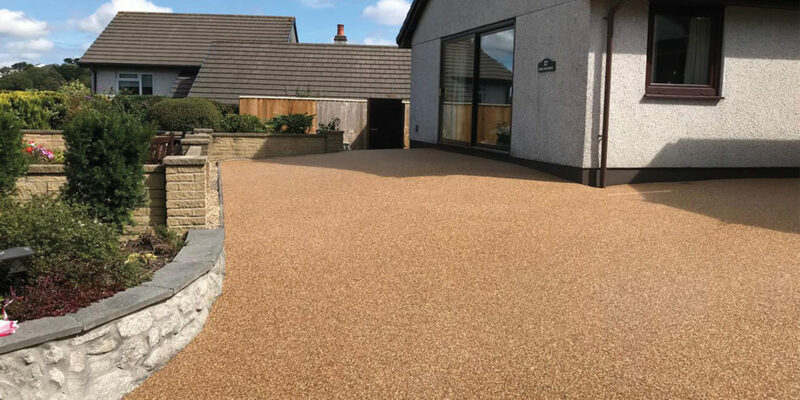 And the good news…resin bound naturally resists weeds giving you a super-smooth patio on which to relax and soak up some summer sun with a glass of something cold to hand. 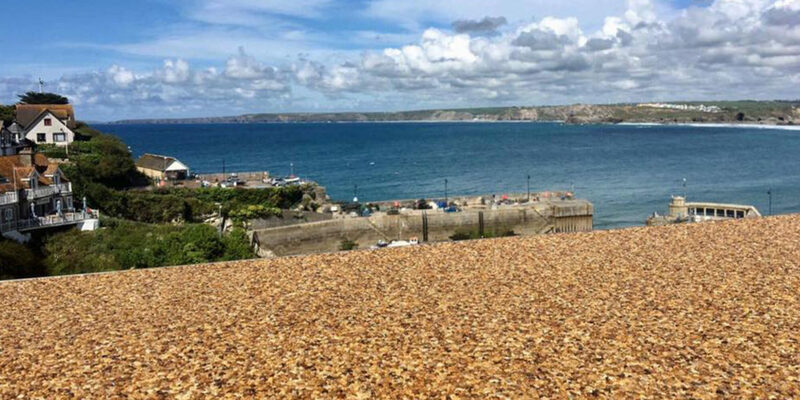 Oltco offers a dual colour palette of either natural or contemporary gravels, both reflecting their Cornish roots, offering 12 unique ready-mixed blends or, if you’re feeling adventurous, they can help you select your very own combination. Oltco suggests complementing your resin patio by planting some pretty flowering bulbs such as sweet peas or lilys. This can be done in either a small border or pots, take very little care, and will offer a splash of spring and summer colour year on year. 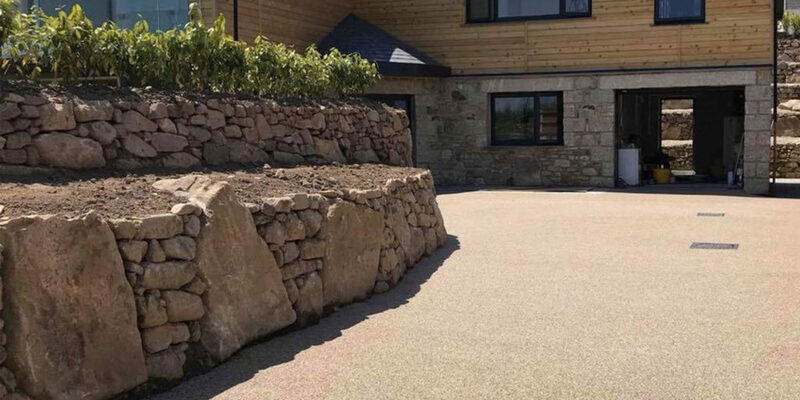 There is very little prep that needs to be done in order to lay a resin bound surface as it has the benefit of being able to be laid over the top of many existing surfaces. It’s not only weed resistant, but also dispels oil and can withstand both pedestrian and vehicular traffic. 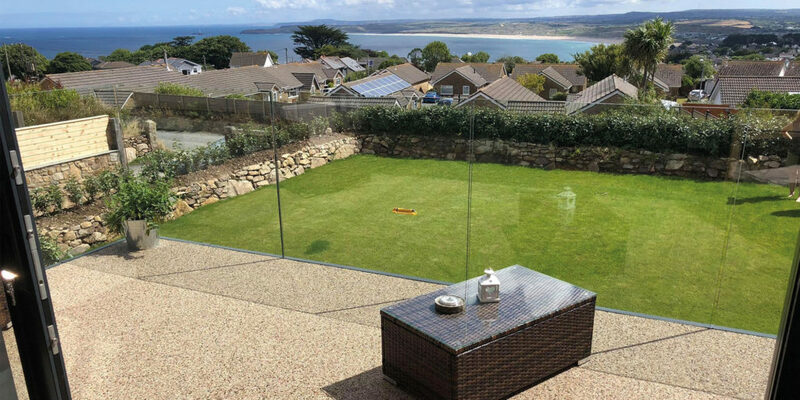 Many customers across Cornwall have opted from both a resin bound drive as well as a patio. Oltco’s team of highly-skilled installers complete driveways by hand with the attention to detail of true craftsmen. 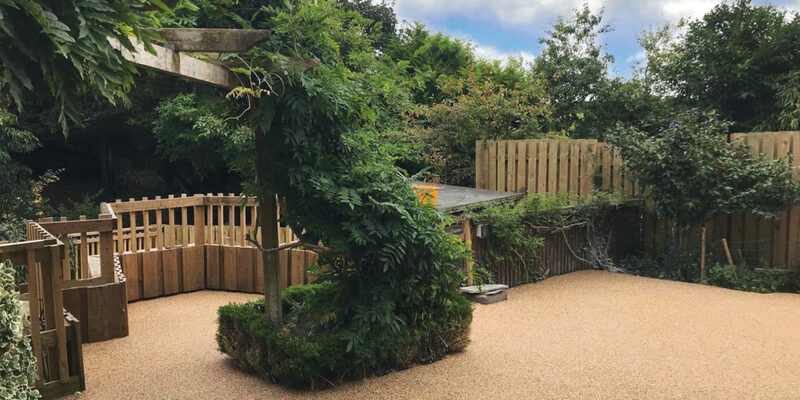 Not only does a resin bound surface offer versatility, low maintenance and a great aesthetic it’s also a very affordable option which, combined with Oltco’s 20 year guarantee, means you can give your garden a stunning makeover that is going to last for many years to come. Oltco is celebrating its 15th Anniversary this year and has recently launched its new Recycle Bound Solution, creating surfaces from recycled plastic. 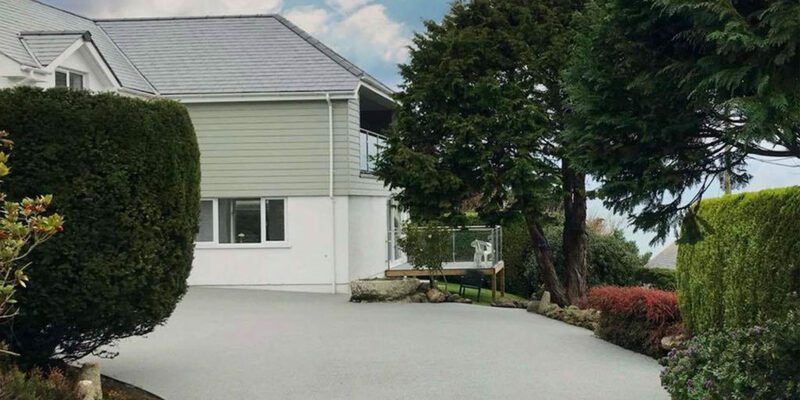 "The finished driveway has resulted in numerous compliments from visitors and the work has undoubtedly transformed the external appearance of the property."